We had a great day, and much better weather than the pessimistic forecast warned. Thank you everyone who came and made it such a great day. Altogether we raised £750 which will be a great help towards the impending costs of repairs. 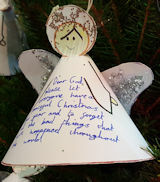 Picture competition: First prize: Joseph Hindmarch, second prize: Chloe M.
This year saw the second Christmas Tree Festival at St Paul's, our first was in 2012. We are very grateful for the generous sponsorship and help with decoration from wide range of individuals, organisations and local businesses. We were able to secure sponsorship for 26 trees, and the standard of decoration was impressive. 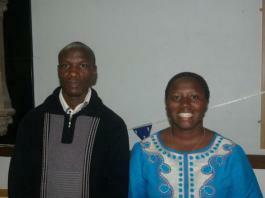 From October 18th to October 25th the church was open daily with various Prayer points around the church. In addition there were a number of special events: a Prayer and Praise service on the Wednesday evening, a coffee and cake time on the Friday morning and also a Prayer Walk on the Saturday evening. 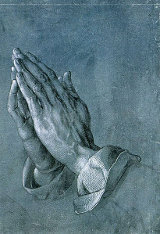 On two mornings the church was manned by volunteers available for prayer ministry. The Curzon School also visited on the Thursday morning. 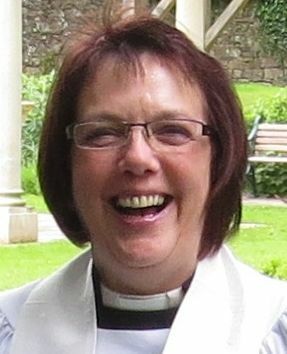 In the summer of 2015, Janet Frymann competed her curacy in North Wingfield and will shortly take up the post of vicar to the Roughton Group of Parishes in Norfolk. Her induction will be at St. Mary's Church Roughton on 22nd November. On Sunday October 4th she presided at holy communion at St. Paul's, together with her husband Peter. William Bates, who was also present, conducted a brief interview with Janet on her journey in service to God. William also thanked Peter for his continuing support for St. Paul's during Janet's curacy which has been greatly appreciated by all. 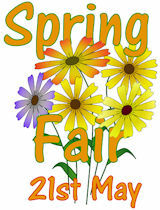 This year for the first time, St Paul's held its own Summer Fair. Both the Church Hall and the church building were involved to provide more space. Two competitions for children were organised: 'how many different things can you get in a matchbox' and 'veggie beasts'. Although the number of entries were small, the standards were high; the winning matchbox had 180 different items in it. Mrs Nancy Bird of Quarndon Hall very kindly agred to judge the competitions - not an easy task - thank you Nancy. The staff and pupils of the Curzon School have recently formed a link with The Good Shepherd School In Uganda. In August our holiday club looked at the adventures of Joseph - someone in the bible who was betrayed by his own brothers, his employer's wife and a fellow prisoner, but who came out on top and was able to forgive and be reconciled with his family. The children who came helped us act out each part of the story. There was also lots of fun things, including games, songs, crafts, puppets, refreshments and the (mis)adventures of PC Percival who wasn't the brightest on the force, but got his man in the end. During the Mothering Sunday service in March 2014 the church presented the Curzon School with a purpose-made worship table. The gift was made possible by donations from a number of parishioners and the PCC. William Bates led the congregation in prayer before handing over the table to the Head Teacher, Geraldine Lowden, and Chair of Governors, Tony Glover. On Saturday 19th October we hosted a social event with a difference. Paul Brown, Christian magician and entertainer, Came and gave us two hours of tricks, illusions and bafflement: how does he do it? 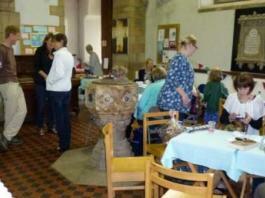 The event was enjoyed by all, young and old, and included a delicious tea of cakes and sandwiches. Thank you Paul!